We're halfway through the week and I'd be lying if I said I wasn't counting down the days! LOL. I actually have plans other than the gym and shooting this weekend so I'm looking forward to have some fun! I'm hoping to go see the new Purge movie; have any of you seen it yet?! If you have, I would love to know what you think of it. I've seen all the others so I have to see this....it's like a rule! 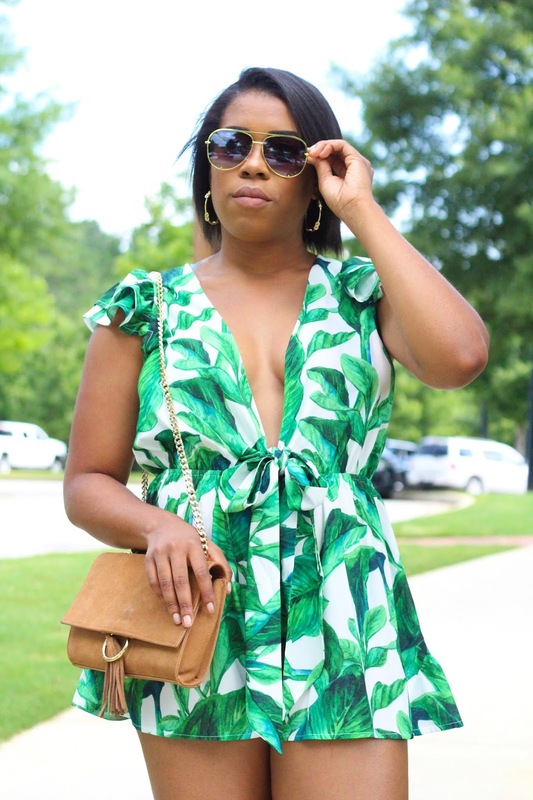 I shared this romper on my Instagram this weekend and I got some questions on it. If you didn't know by now, I LOVE palm print everything. If you don't believe me, click here! If it has palm leaves on it I probably own it. 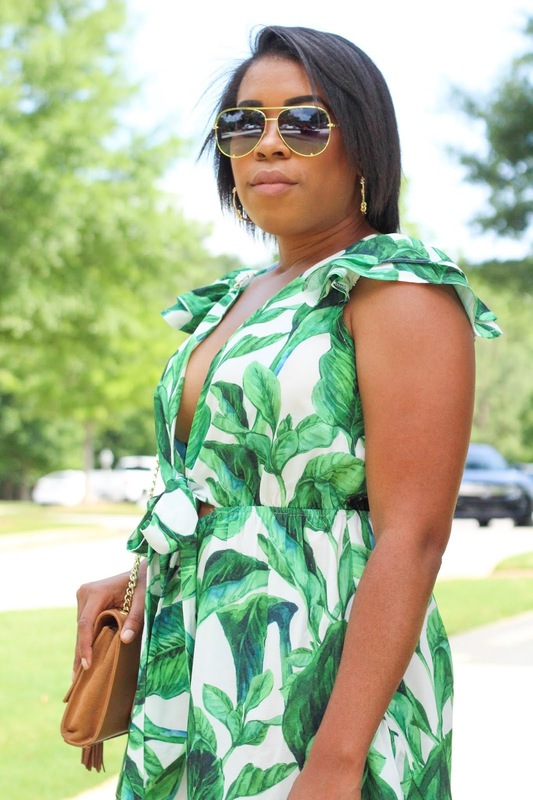 I love the fit of this romper and I love the plunging neckline; this isn't something I would normally wear but hello, did I mention I love palm print?! LOL. This does tie in the front and it just adds a little something extra. If you are bustier like I am you might want to invest in some fashion tape. I used that to make sure nothing flew open and exposed anything, no Janet Jackson moments over here! My shoes are some that have been super popular....lucite! They are the perfect neutral shoe, they makes your legs look longer and these are actually comfortable to walk in. These are definitely a shoe to invest in because they're so versatile. P.S If you don't have anything to do this weekend and you live in the Atlanta area, definitely grab yourself a ticket to the Second Annual PeachFest! 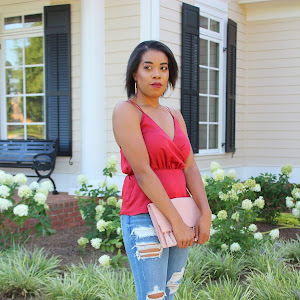 You can check out last years post here! Tickets are currently 50% off so definitely go as VIP!